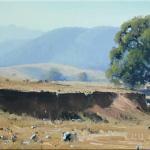 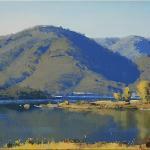 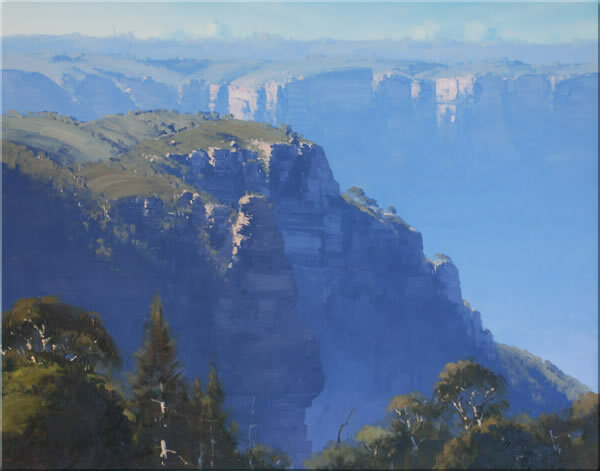 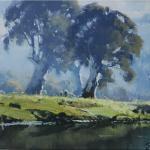 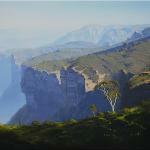 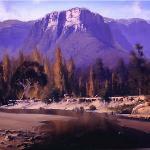 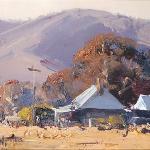 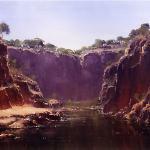 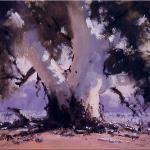 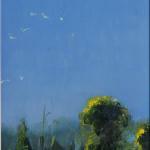 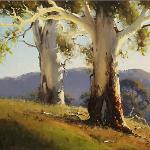 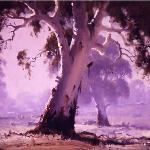 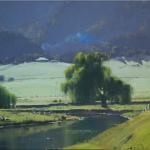 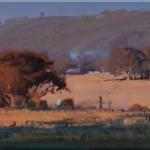 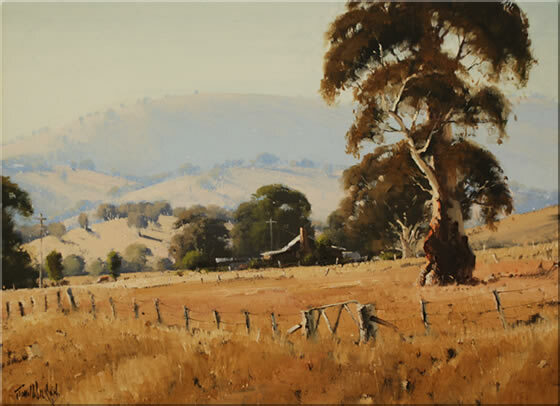 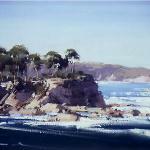 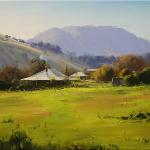 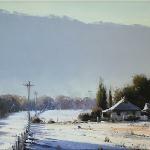 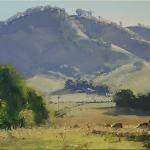 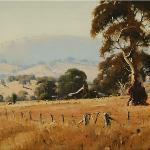 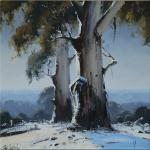 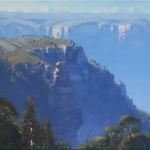 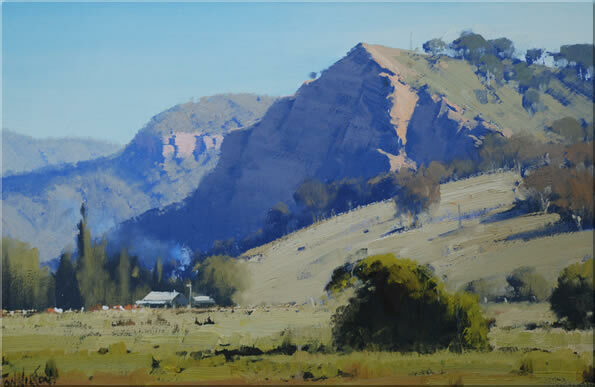 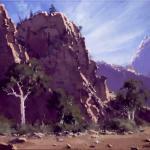 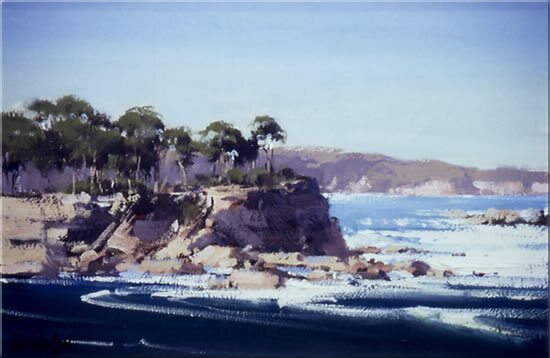 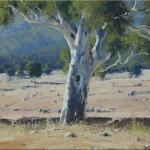 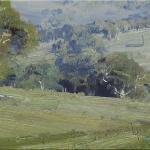 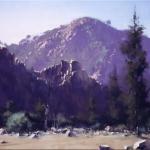 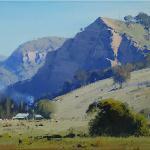 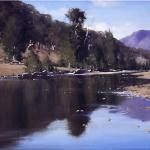 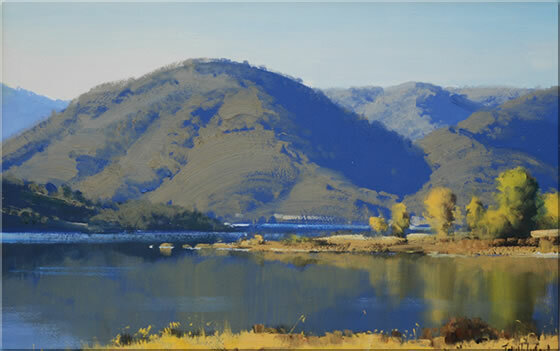 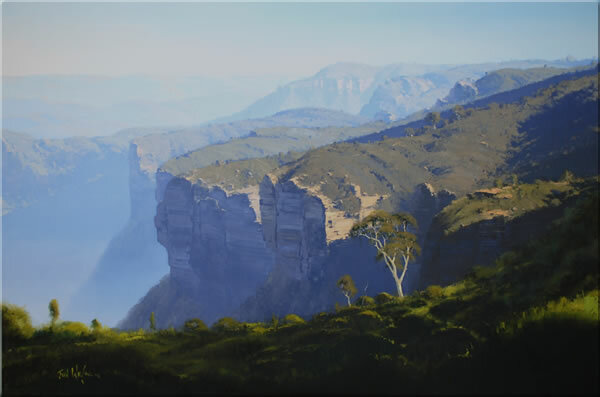 Landscapes by Australian Artist John Wilson. 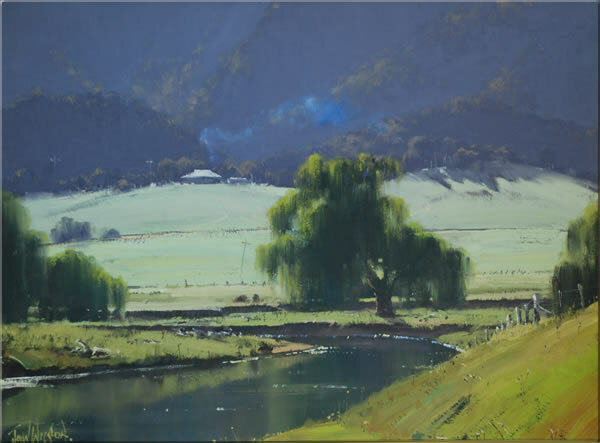 From the painter's point of view it is necessary to understand the whole, become a student of nature, so that the character, atmosphere and mood of each area can become part of every painting. 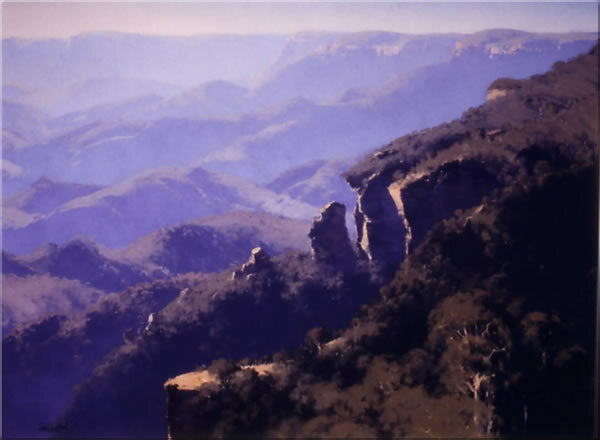 It is then possible to isolate a mere fragment as a 'subject', and render it in a way that will convey some feeling and character of the entire area. 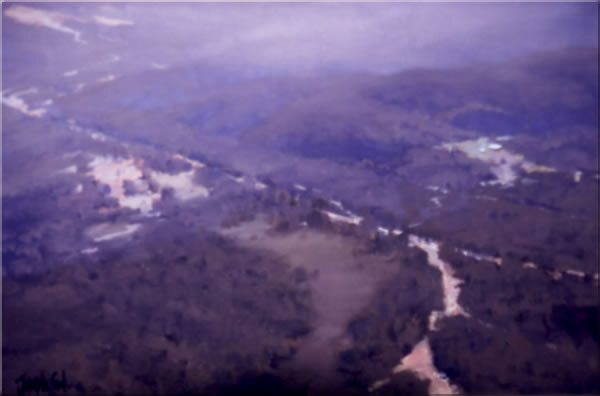 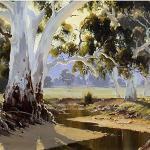 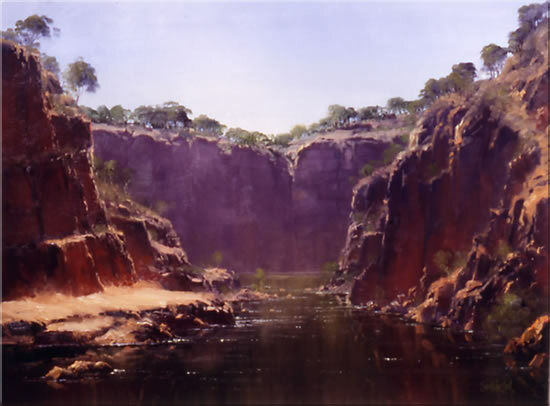 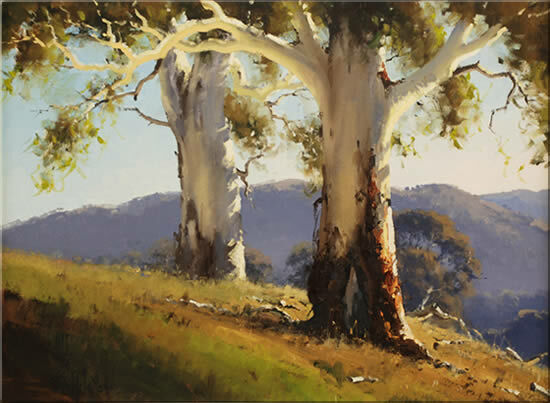 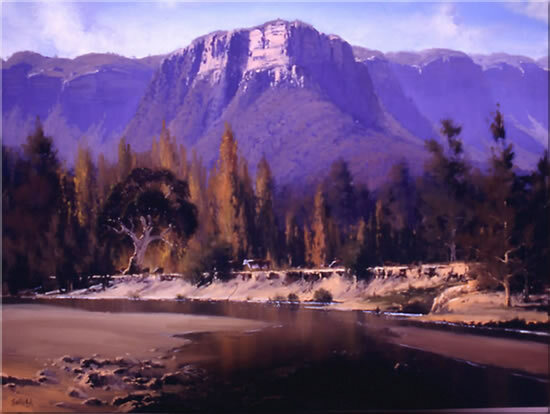 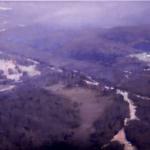 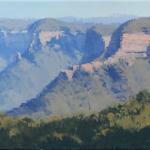 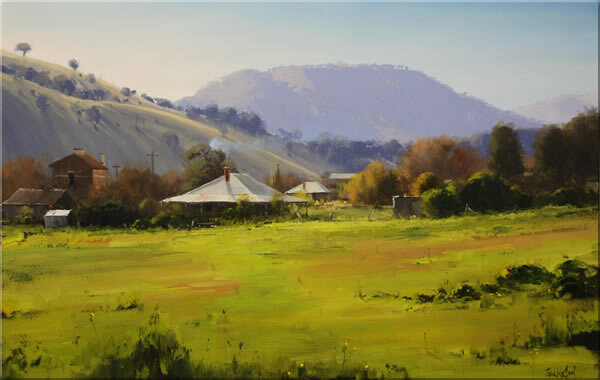 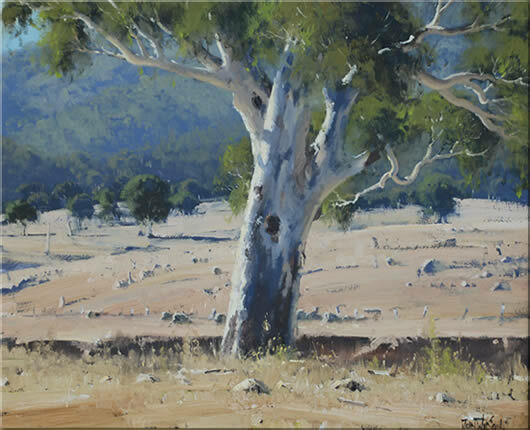 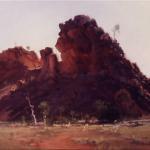 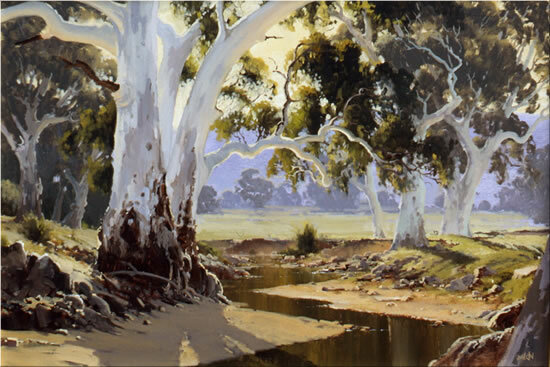 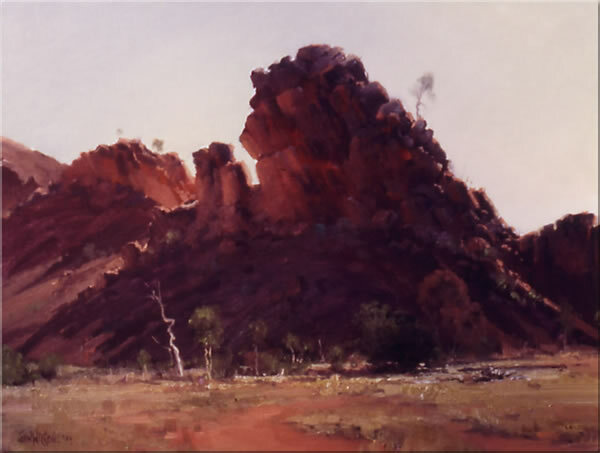 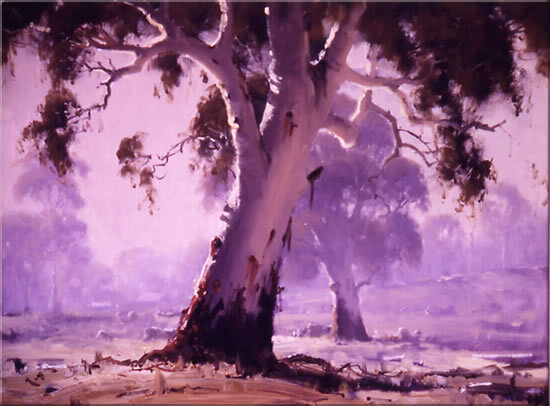 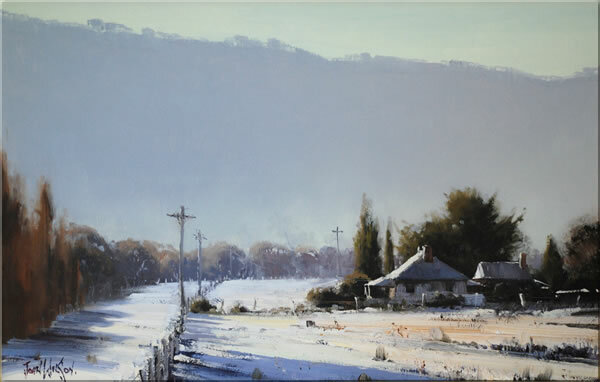 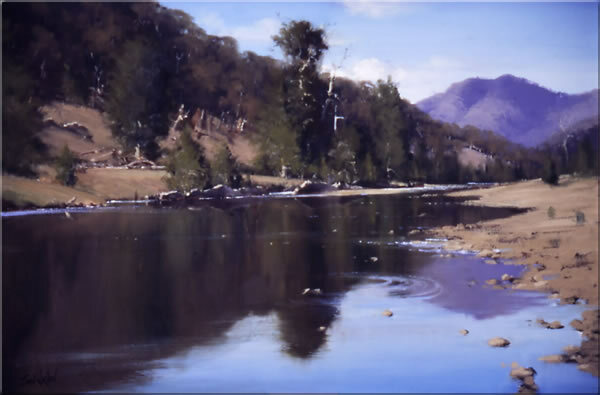 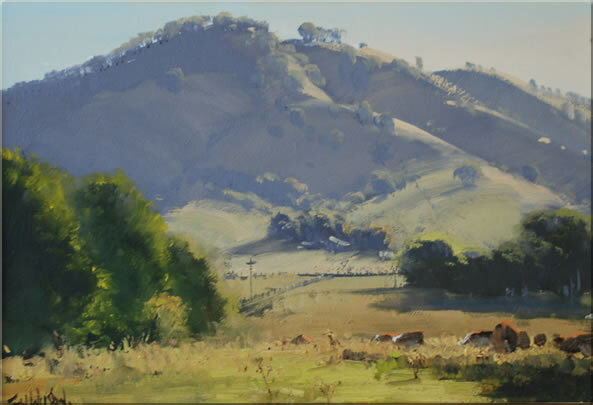 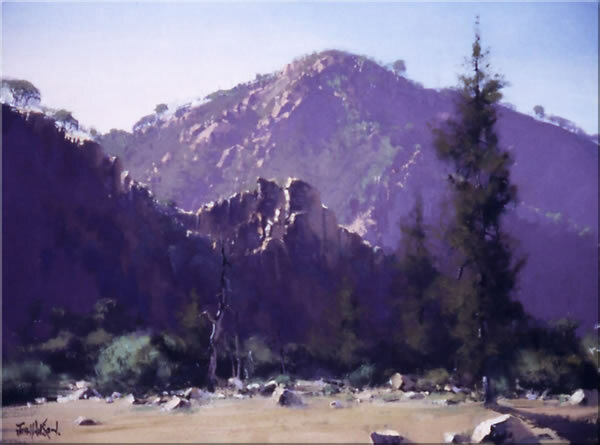 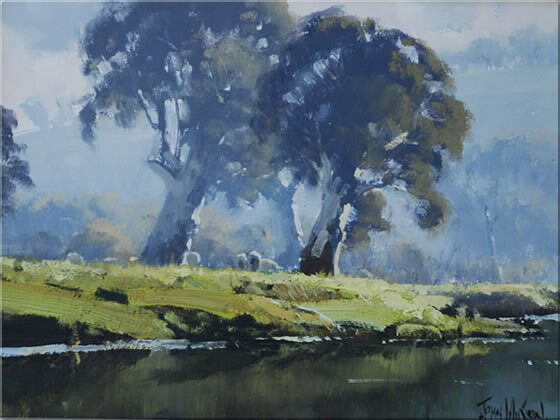 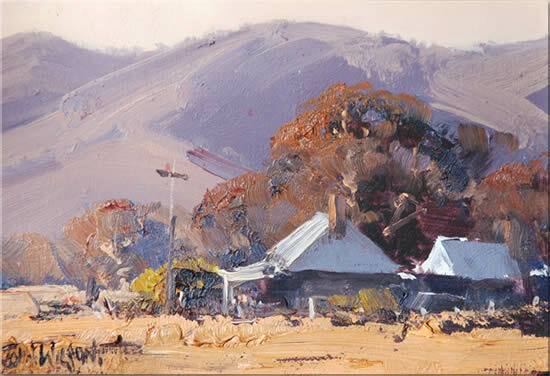 When an artist has achieved this ability to separate a feature from the whole, he finds that the Australian landscape will exert an even stronger fascination. 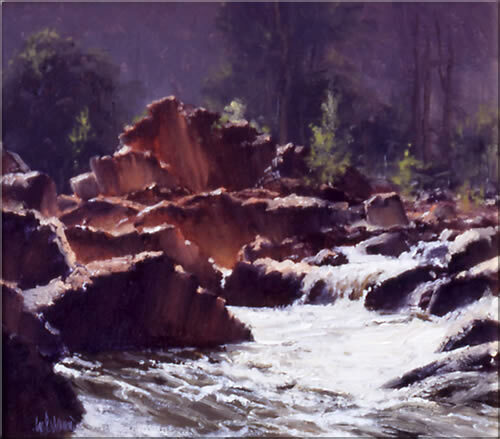 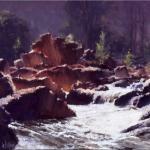 Even one arm of an erosion gully or creek will provide him with a wide variety of subjects, and these are increased by the "about face" drama of changing light from morning to afternoon. 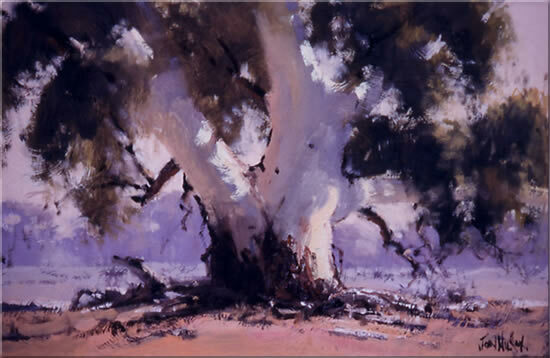 As the sun travels overhead, and its light dwells upon gnarled gums or rugged cliff faces, the changes of mood are awe-inspiring. 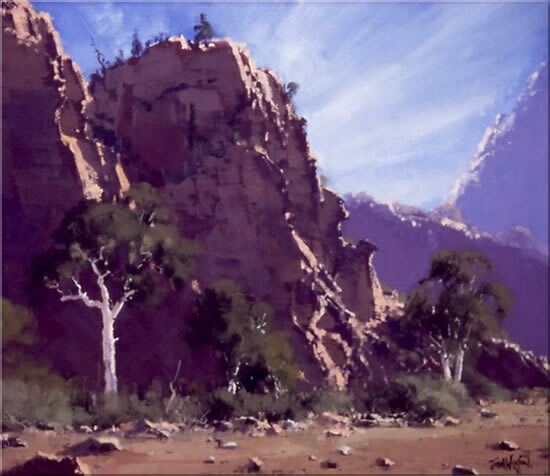 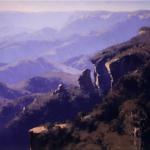 Once my mind was opened I discovered, like many others, that absorption in our landscape can be almost limitless.